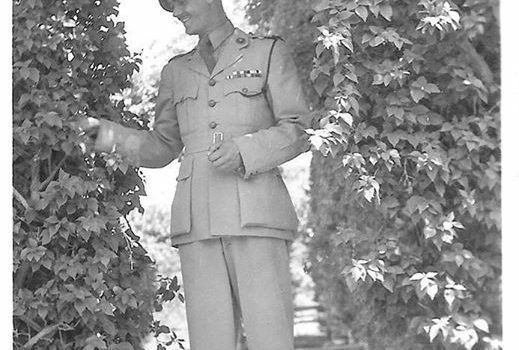 Today we profile another one of those South African heroes who served with the commandos on D-Day – Lieutenant D.C. “Tommy” Thomas, from Maclear in the Transkei. The unfortunate truth is that it was highly likely that his participation in D Day ultimately killed him years later. After the war but he became an alcoholic suffering with post traumatic stress disorder (PTSD) and eventually shot himself when he was diagnosed with cancer. A real tragedy, close family and fiends described him as an AMAZING man, brave, humble and very caring – he was apparently never the same after the war. Photo copyright , thanks and courtesy of Mrs A.Mason, from her family photographic records. Reference – Two South African “Royal Marine” Commandos and the D-Day Landings, June 1944 By Ross Dix-Peek. Story for the SA Legion by Peter Dickens with contribution by Tom Mason on behalf of his mother. via South African Legion.